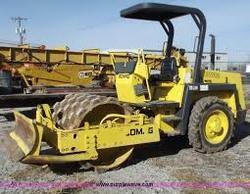 We are a leading provider of sheepsfoot roller which is used in compaction of soil. A cylindrical steel drum to which knob-headed spikes are fastened; used for compacting earth. We are a emerging exporter of sheepsfoot roller. Sheepsfoot Roller is used to compact the earth embankment layer. Contractors use a number of different types of soil and aggregate compactors these days. Common types include: sheepsfoot rollers, which run static. 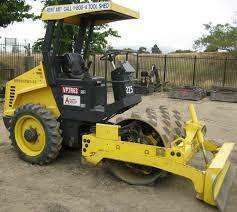 A roller for earth or pavement with spikes inserted to compact, perforate, or scarify the rolled surface. We are a emerging Supplier of sheepsfoot roller. Leading exporter and dealer of sheepsfoot roller. Our company has emerged as a leading dealer of sheepsfoot roller. We are able to manufacture sheepsfoot roller, with the vast support of our team.